767 pages | 22 Color Illus. | 207 B/W Illus. 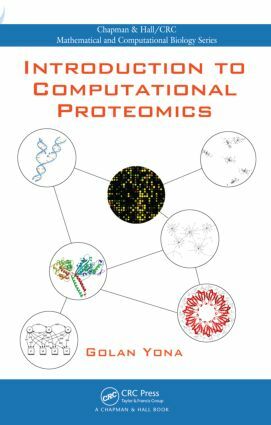 Introduction to Computational Proteomics introduces the field of computational biology through a focused approach that tackles the different steps and problems involved with protein analysis, classification, and meta-organization. The book starts with the analysis of individual entities and works its way through the analysis of more complex entities, from protein families to interactions, cellular pathways, and gene networks. The first part of the book presents methods for identifying the building blocks of the protein space, such as motifs and domains. It also describes algorithms for assessing similarity between proteins based on sequence and structure analysis as well as mathematical models, such as hidden Markov models and support vector machines, that are used to represent protein families and classify new instances. The second part covers methods that investigate higher order structure in the protein space through the application of unsupervised learning algorithms, such as clustering and embedding. The book also explores the broader context of proteins. It discusses methods for analyzing gene expression data, predicting protein-protein interactions, elucidating cellular pathways, and reconstructing gene networks. Golan Yona is a senior scientist at Stanford University. He is leader of the Biozon project, a large-scale platform for the integration of heterogeneous biological data, including DNA and protein sequences, structures, gene expression data, interactions, and pathways.